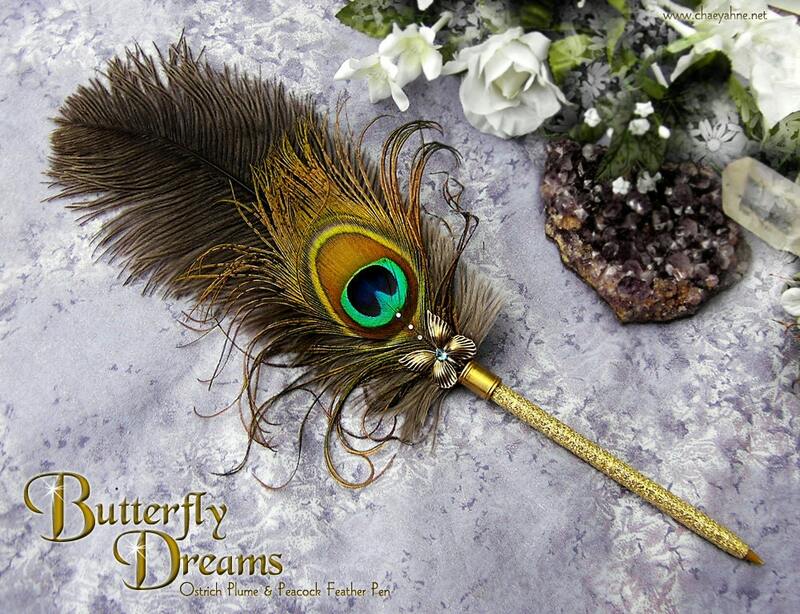 BUTTERFLY DREAMS, a trendy peacock feather pen design created using snow white ostrich plumes & shimmery golden ribbon, handset crystals & vintage style butterfly findings, with golden brass base cups. This is a ballpoint wedding pen & writes in black ink. 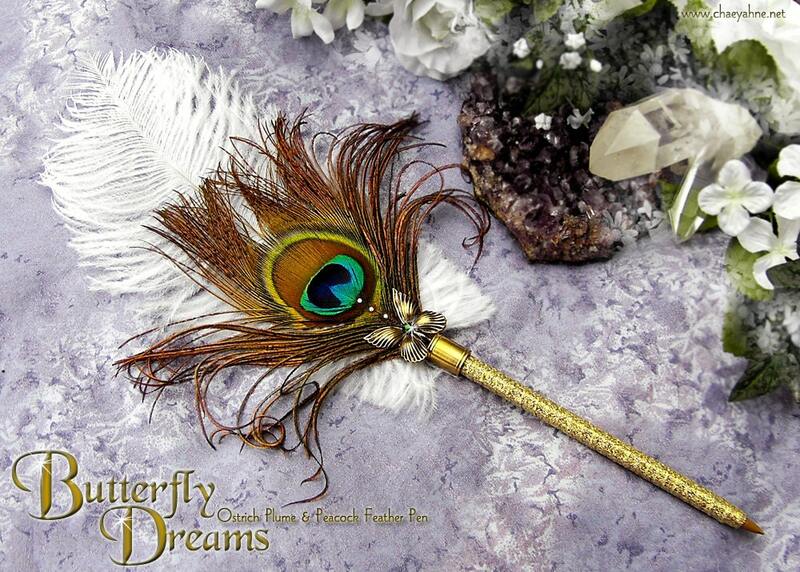 ALL of my pens whether for weddings or otherwise are totally handcrafted with a minuet attention to detail by one person, myself. I wish to always produce for you the most beautiful, well-made, and one-of-a-kind pens in the market today...anywhere...worldwide. It is my love & passion, this work & talent I have been gifted with. There are NO mass productions here at SilverFox Studio, and customer satisfaction, delight, and product quality is always the main focus.